JOIN US FOR BUSINESS OF THE YEAR AWARDS & DINNER FOLLOWED BY CASINO, MUSIC & DRINKS! 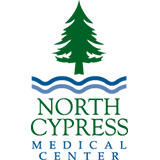 A Night of Celebration, presented by North Cypress Medical Center, is the Chamber’s annual gala. It will be held on Friday, February 17 from 6:30 p.m. to 10:30 p.m. at the Norris Conference Center in City Centre. The theme for 2017 is Great Gatsby, so make sure to wear your most inspired ‘20s flare. The event will begin with registration at 6:30 p.m. in addition to wine, beer or cocktails and hors d’oeuvres. The awards dinner at 7:00 p.m. will announce the small, medium, large and non-profit Businesses of the Year. The prestigious Chairman’s award is given by the Chairman of the Board, Mark McShaffry with The Backyard Grill, which highlights an individual who has shown undeserving commitment to not only the Chamber, but also community. The Ambassador of the Year will also be awarded. After the awards ceremony, doors will open to the fun-filled portion of the evening, which includes a cash bar, casino, DJ, dancing, photo booth and raffle. Nominations for Business of the Year are now available. Please visit www.cyfairchamber.com to get an application. General admission tickets to the event are $75. All tickets can be purchased at www.cyfairchamber.com. For information about sponsorships, please call Sara Theut at 281-373-1390. Two premier tables for ten, Texas Hold’em, Roulette and Craps table sponsorship, introduction at event, 3 minutes at podium or video presentation, specialty novelty item for your company and guests only, 1 bottle of red and white wine at each table, $3,000 in casino money for each guest, mention in all press releases and company logo in all event advertising and publicity. 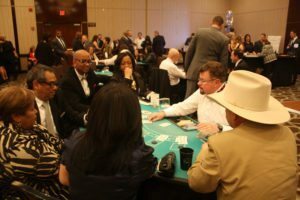 Prominent table placement for ten, Roulette and Craps table sponsorship, $2,000 in casino money for each guest, mention in press releases and company logo in all event advertising and publicity. Preferred table placement for ten, Blackjack table sponsorship, $1,500 in casino money for each guest and company name in all event advertising and publicity. Select table placement for ten, $1,000 in casino money for each guest and listing on events calendar page of the web site. Complimentary seating for four, $1,000 in casino money for each guest, listing on the events calendar page of the website and branded tag on floral arrangement. Complimentary seating for four, $1,000 in casino money for each guest and your company’s name will appear on photo card. Complimentary seating for four, $1,000 in casino money for each guest and your company name recognition during program. Complimentary seating for two, $750 in casino money for each guest and your company’s name will appear on the coin cup with the event’s logo. Complimentary seating for two, $750 in casino money for each guest and your company’s name will appear on the stage sign. Complimentary seating for two, $500 in casino money for each guest and your company’s name will appear on the table. Complimentary seating for two, $500 in casino money for each guest and your company’s name will be promoted with the favors distributed to 200+ guests. Complimentary seating for two, $500 in casino money for each guest and your company’s name will appear on sponsor banner. Per person (# of people to attend ________), $500 in casino money.